Events agency Top Banana has acquired film production company Emanation Creative, while taking on two new senior hires. The agency has acquired Emanation Creative and hired its MD, Simon Tate, in the newly created role of head of film, to help the company achieve its ambitious growth targets. In his previous roles, Tate has created programming for broadcasters including the Discovery and National Geographic channels and CNN, plus projects for clients including Virgin Media, No 7 Makeup, British Gypsum and United Biscuits. 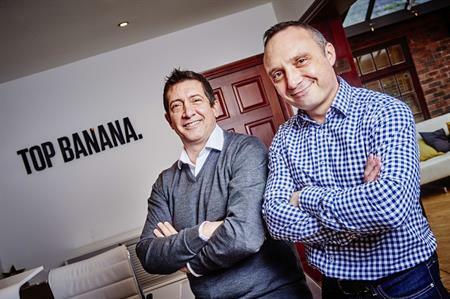 Top Banana MD Nick Terry said: "We wanted to further expand our expertise in this area to cater for the increased demand for film from our clients. Simon will be spearheading the development of our existing in-house capability to deliver moving image projects that deliver tangible results in this highly visual age." Top Banana has also taken on Andrew Mossop in the role of client services director in its London office, where he will lead the team in servicing the company’s growing client base and developing new relationships. Mossop has more than 20 years of experience in the events industy, running event agencies in London and Asia and delivering projects in 28 different countries for clients including MasterCard, Omega and Chanel. The addition of Mossop and Tate brings the Top Banana team to more than 50 staff members across its London and Midland offices.